A Message Map gets everyone on the same page, so your message is backed up by the choir — your executives, spokespersons, employees and influencers. A strong message helps you break through our cluttered media landscape, win attention, be remembered and inspire buyers to action. Think about it: most of the information you received today, you ignored. The same is true for your customers, prospects, influencers and employees. Our average attention span is only 8 seconds long. So you need a message that breaks through in 7 seconds, 23 words or less. That’s exactly what a Message Map helps you do. With a solid Message Map, you can cut through the clutter by simplifying, clarifying and amplifying your message. 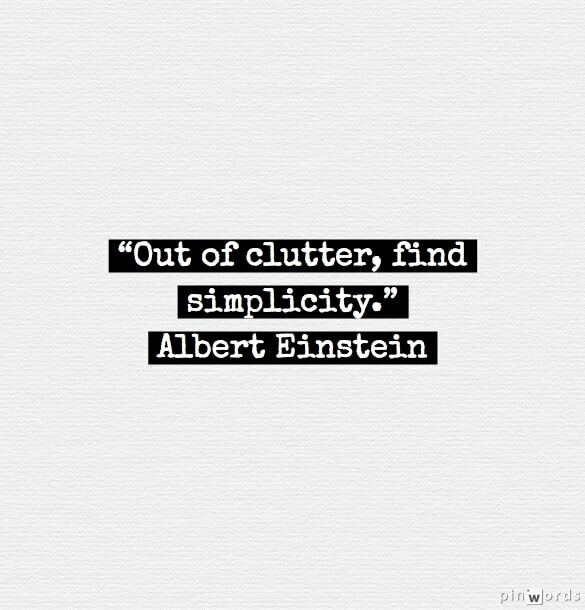 Simplify. Why is it so important to simplify your message? Complex information is just too hard for customers to receive and pay attention to, much less remember. With your own 1-Page Message Map to simplify your message, you can sound like a genius. Remember, customers are bombarded by 1,500 to 30,000 messages a day, says the Business Marketing Association. Simplicity helps your message stand out. 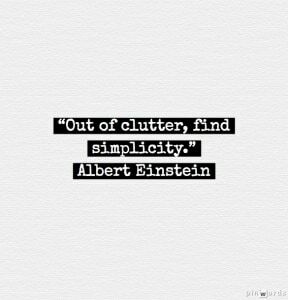 “Out of clutter, find simplicity,” as Albert Einstein said. Clarify. Just because you said it, doesn’t mean they’ll get it. That’s why you need to make your message crystal-clear. Speak the language your audience understands. 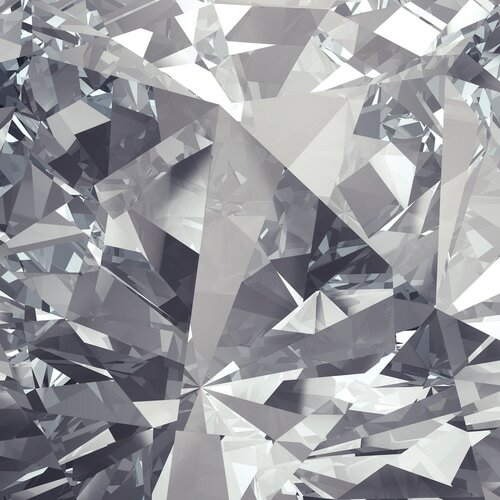 Talk at your buyers’ level, not over their heads. Overcome the barriers of language, locality and literacy that separate your customers’ experience from your own. Too many leaders threaten or crash their careers with the wrong words – their famous last words. Don’t be like them! Amplify. Because people are people, we tend to get messages mixed up, mangled, misconstrued, misinterpreted, miscommunicated and misunderstood. If you ever played the game of telephone in grade school, you remember how hard it was to get a line of people to repeat the same message accurately. Executives and employees are playing telephone every day as they communicate up and down the chain of command. By the time a message reaches an average employee in a big company, he’s rolling his eyes – with good reason. Just imagine what that employee is telling your customers. Employees are positioned to be your best brand ambassadors. The problem is, they don’t know what to say. Gallup Polls found that fewer than half of employees (41%) know what your brand is about and what makes it different from competitors. That’s why it’s so important to amplify your message through every employee in the company. 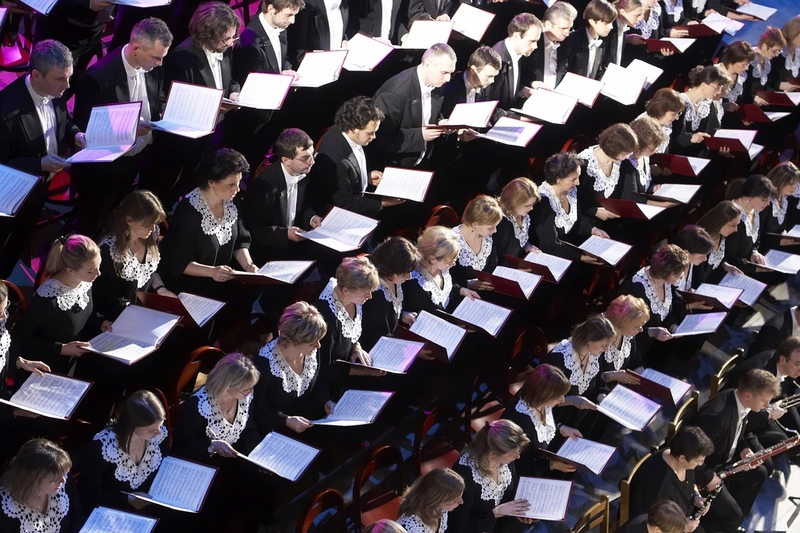 Amplify your message by including people in the leadership team, spokespersons and especially customer-facing employees – the people I call your choir. A Message Map helps your whole choir back you up by singing from the same songbook. A strong message also helps you attract influencers – the bloggers, analysts and journalists who repeat your message if they believe it. A strong message makes it easier for influencers to add their voice, lend their credibility and build your reputation. Stay consistent. Winning messages must stay consistent as you repeat them. No one believes politicians much, with good reason – their inconsistent messages. Unlike politicians who change positions in each place they visit or with each poll they read, your messages must remain consistent over time, so you can build your believability. 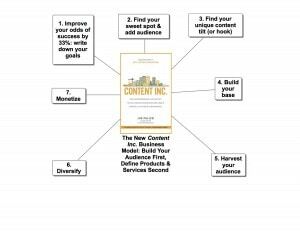 Here’s Joe Pulizzi’s book Content Inc., simplified into a 1-Page Message Map TM. With Message Maps, you can ensure that your message conveys a consistent meaning, no matter who the spokesperson is or where in the world you share it. The right message enables you to tell the same consistent story to everyone – regardless of the audience’s knowledge level, geography or language. Make sense. Finally, a Message Map ensures that your message makes sense to others. It enables you to speak about the things your customers care about, in the words they understand best. When your message wins the backing of the people who can make it happen, you’re halfway home. A Message Map – created the right way, using the right words, backed up by the right proof, reflecting the right intentions, and providing the right direction – becomes your clarion call, your key to crystal-clear communications. 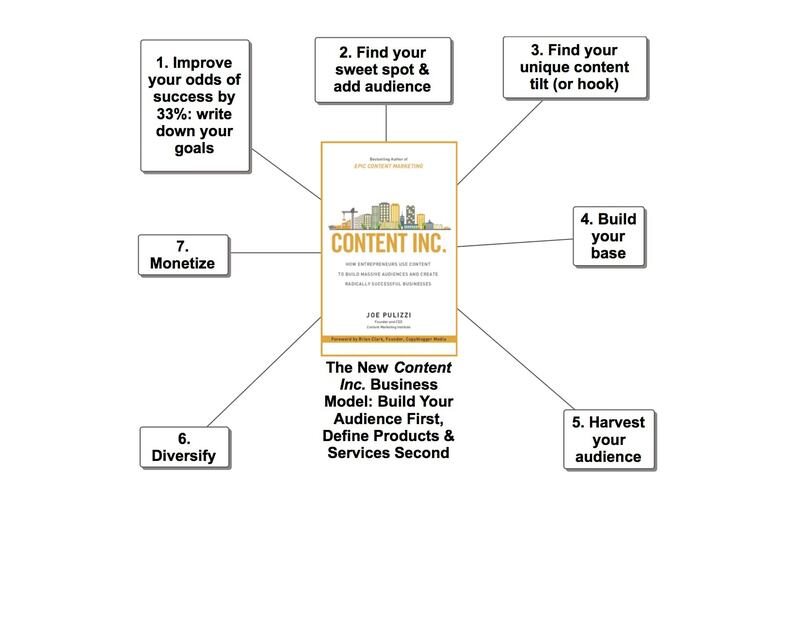 A Message Map makes your content marketing sing!